The Lighthouse Church - Inspiration - Did you know that we have an INBUILT BRANDED CROSS IN OUR DNA? INBUILT BRANDED CROSS IN OUR DNA? 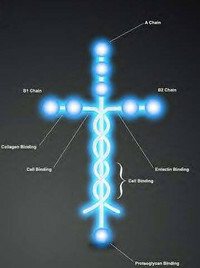 is called Laminin and it is shaped like a cross? 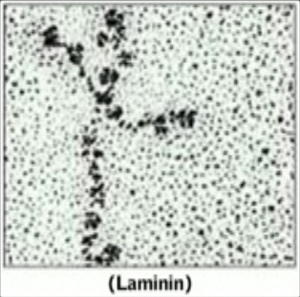 Laminin is a protein molecule that literally holds the cells within our bodies together. Without Laminin ours bodies could not survive. 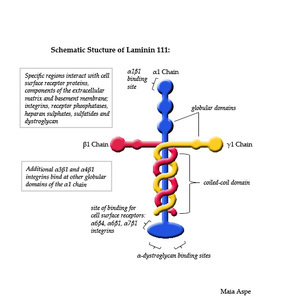 You see … laminins are what hold us together … LITERALLY! 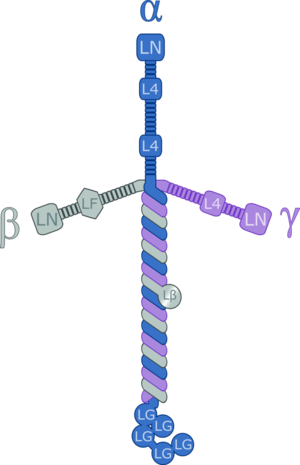 If you look up laminin in any scientific/medical piece of literature, this is what you will see! … Now tell me that our God is not the coolest!!! Colossians 1:15-17 comes to mind. - Thousands of years before the world knew anything about laminin, Paul penned those words. And now we see that from a very LITERAL standpoint, we are held together…one cell to another….by the cross. is in the shape of the CROSS! - an INBUILT BRANDED CROSS IN OUR DNA.